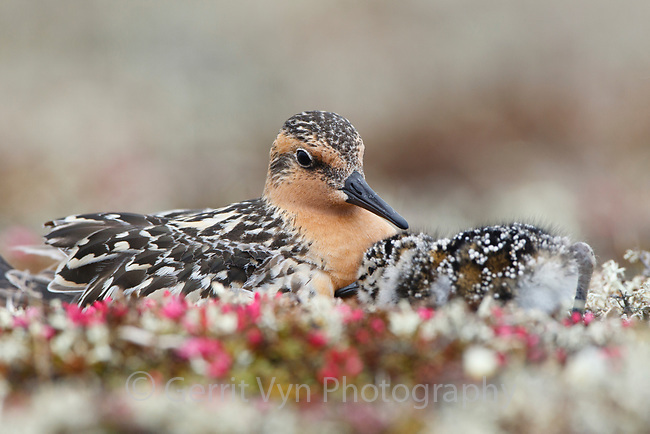 Red Knot (Calidris canutus rogersi) brooding newly chicks at the nest returning to be warmed. Chukotka, Russia. June.